Amsterdam’s Anne Frank Foundation says it is not happy with reports that German state railway firm Deutsche Bahn is considering naming a new high speed train after Anne Frank. The name of Anne Frank name has been put forward by a jury set up to select names for the new trains as a symbol of tolerance and peaceful coexistence with other cultures. ‘The proposed naming has caused controversy, and we understand that,’ the foundation said in a statement. 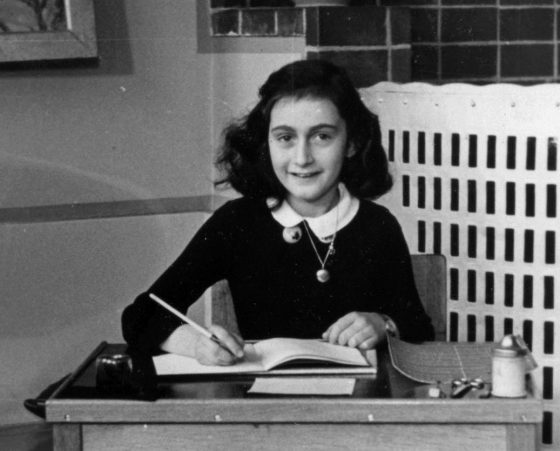 ‘The combination of Anne Frank and a train evokes associations with the persecution of the Jews and the deportations during the Second World War. Thousands of Jews, including the Frank family, were taken to concentration camps by train. The foundation said that initiatives such as this are usually taken with good intentions. ‘Anne Frank has great symbolic power, and this has led to a multitude of manifestations, such as the naming of streets, schools and parks, but also Halloween costumes and expressions of antisemitism in the world of football,’ the foundation said, referring to two recent controversies.